Macrotis: A Mother’s Journey is a magical 2.5D puzzle platformer from Proud Dinosaurs. 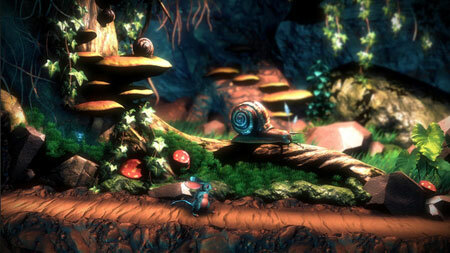 Your objective is to help mother Bilby, as she struggles underground to find her children. Climb, jump, and gnaw your way under the ground. Solve challenging puzzles by interacting with the beautiful yet dangerous world, while avoiding deadly traps that could end the adventure immediately. A great variety of natural and supernatural abilities will aid you on your emotive trip. Live through the adventure filled with thought-provoking and sometimes unforgiving puzzles. Gain magical abilities that let you pass through walls and raise barriers. Overcome obstacles by digging and gnawing. Use water physics to your advantage and proceed without drowning. If you get stuck in the game, check out the video walkthrough and gameplay for the game. This entry was posted in PC Games, Walkthrough and tagged Macrotis: A Mother's Journey Cheats, Macrotis: A Mother's Journey Gameplay, Macrotis: A Mother's Journey Guide, Macrotis: A Mother's Journey Strategy, Macrotis: A Mother's Journey Walkthrough by Marvin. Bookmark the permalink.